This work was actually a preparatory sketch for a larger work. Although my typical finished pieces were generally about this size, I planned on reproducing this work closer to 24” X 30”. Before I was able to do that other pieces took precedence and the larger work was shelved. 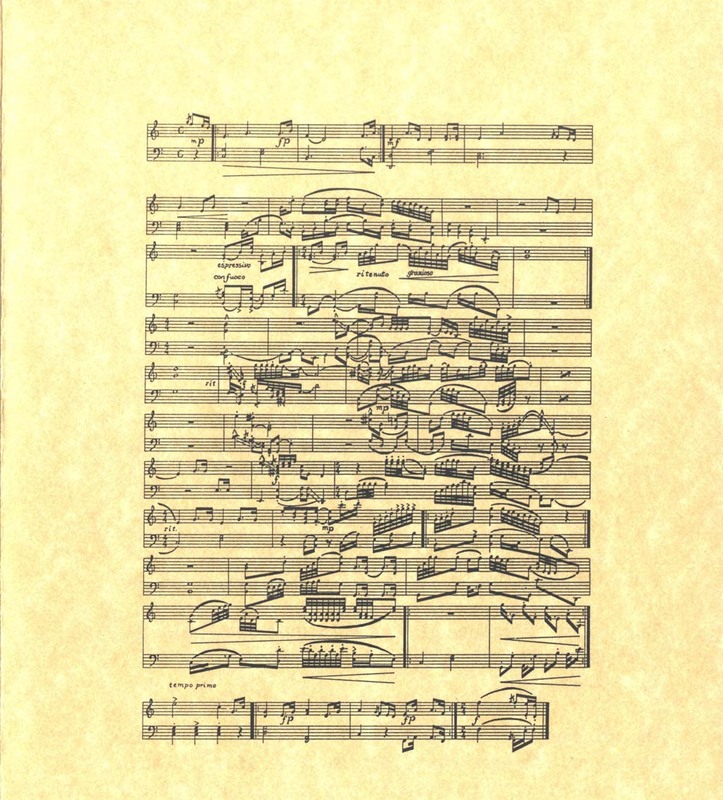 When I created this piece I kept imagining a pensive Mozart seated at his keyboard. As a result, I kept the instrumentation limited to piano. In September 1996 I had my first formal exhibition of MusicArt at the Wild About Music Gallery in Austin, Texas. I really liked this sketch and chose to use it on all the promotional materials for the exhibition.